Coalmine Beach Holiday Park is offering guests a PROMO for the June 2019 Long Weekend. Bring the family or friends to Walpole for a winter camp out. Just book in for two nights or more on our powered sites between Saturday 1st – Monday 3rd June 2019 and you will pay $35.00 per night per site. Kids stay free so bring a bag of marshmallows for roasting in our fire pits, wood available for purchase from our onsite store. All you need to do is call our office directly, quote the promo word – JUNE CAMPOUT – and you can have yourselves one great long weekend camp out. For more information on our camping sites please follow the link – Powered Camp Sites. 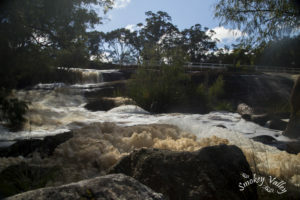 Walpole is absolutely magical in winter with the rivers and waterfalls starting to flow it becomes a kayakers delight with the waterways now more easily accessible. 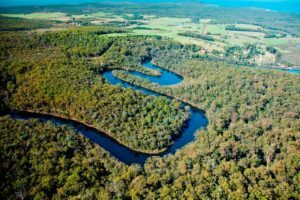 You could spend a morning paddling up the Frankland River in nearby Nornalup where you can take lunch up to Monastery Landing and picnic on the jetty at the water’s edge. Canoe hire available from Nornalup Riverside Chalets. 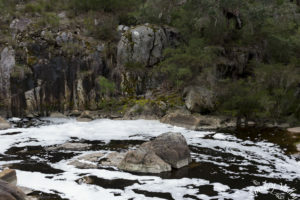 After lunch you could take a drive out on North Walpole Road to discover Fernhook Falls cascading down the Deep River. Fernhook has a selection of meandering boardwalks along the river’s edge with some great look out points for capturing those holiday memories. 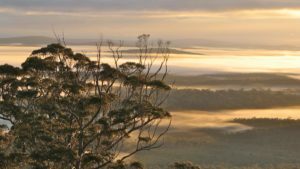 Also in North Walpole is our tallest peak in the area, Mount Frankland, standing at 410m tall this landmark is worth the walk to the top with panoramic views of the area including the Frankland River below, it is truly peaceful especially at sunrise or sunset. 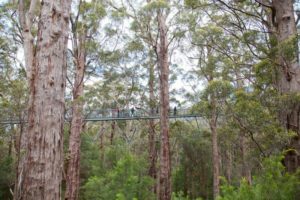 If the summit walk isn’t for you then the choice of three smaller base walks and a fully accessible trail and lookout deck for prams and wheelchairs allows anyone to enjoy the Mount Frankland Discovery Centre and be completely immersed in nature. Whale watching season will be underway during Winter Down South and we are delighted by species including the Southern Right Whales, Humpback Whales and Minke Whales . Whales can be spotted off beaches around Walpole including Conspicuous Cliffs, Long Point and Mandalay Beach. The fishing is also great at that time of year with schools of Salmon being spotted off many of our southern ocean beaches. The inlets and rivers do provide a few target species for the keen anglers too including King George Whiting, Black and Silver Bream to name a few. 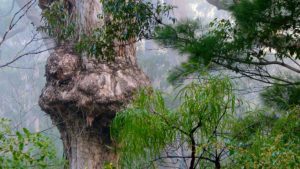 The Bibbulmun Track and the Munda Biddi Trails are full of Giant Tingle trees, tall Karri trees, misty mornings and the cooler climate makes for more comfortable walking or riding conditions. The Track is located right along side the Holiday Park running East to West which makes it easily accessible for day walks or rides in both directions from short one hour returns or long 20km full day sections for the enduring explorers. If all of the above is enticing then we have saved the best for last, the world famous WOW Eco Cruise will not disappoint. The Eco Cruise is available daily from 10:00am at the Walpole Town Jetty. Hosted by Gary Muir, You are in for a wonderful and entertaining insight into our rich Walpole History, Diverse Culture and learning about protecting the environment and our future. The 2.5 hour cruise will meander through our Walpole-Nornalup Inlet Marine Park where you can see many species of Birdlife, Marine Animals, Stingrays, Dolphins and more. Winter Down South is amazing so call today and book in your long weekend Camp Out at Coalmine. ← School Holidays, Memories That Last A Lifetime.